How much is Kirk Frost Worth? Kirk Frost net worth: Kirk Frost is an American reality star and entertainment manager who has a net worth of $600 thousand. 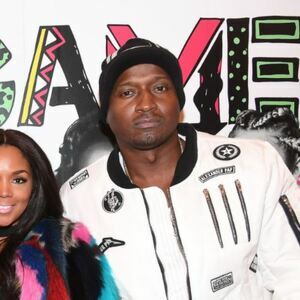 Kirk Frost is one of the featured cast members on VH1's Love & Hip Hop: Atlanta thanks to his marriage to rapper Rasheeda. Frost is also her manager, and the couple has two sons, Ky and Karter. Frost and Rasheeda try to maintain a healthy work/life balance but admit it's often difficult. Kirk owns a record label called D-Lo Entertainment, which he started after working as a manager to his wife and the group Da Kaperz which she was a member of earlier in her music career, Frost is even featured in one of the early song's released by the group, "Don't Stop." In addition to his record label, he also works as a consultant to several artists and entertainment companies lending expertise on licensing and song placement. Several songs that are part of his record label have made it into movies, including films like Paul Blart: Mall Cop and The Fog, as well as television shows like CSI: Miami and Lincoln Heights. Frost recently made headlines for taking a home DNA test to prove his new son, Karter, is his. The couple released the results on one of the episodes of Love and Hip Hop: Atlanta. The couple was married in 1999 and their rocky relationship has been documented on the reality TV series. Love & Hip Hop: Atlanta began in 2012 and entered into its seventh season in 2017. Kirk has five more children not from Rasheeda.